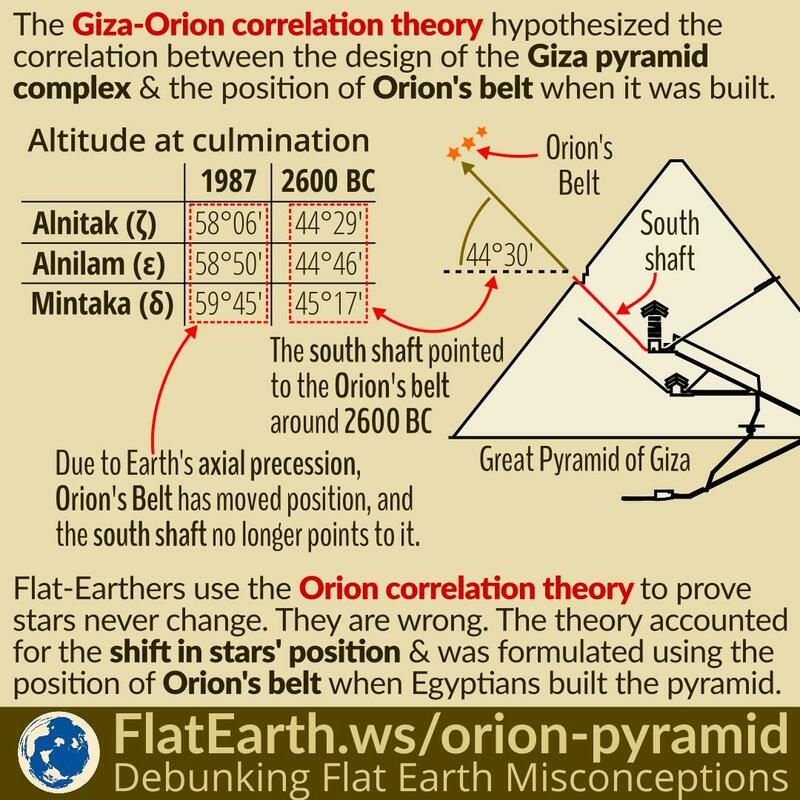 The Giza-Orion correlation theory is a fringe hypothesis claiming the correlation between the design of the Giza pyramid complex and the position of Orion’s belt during the time the pyramids were built. 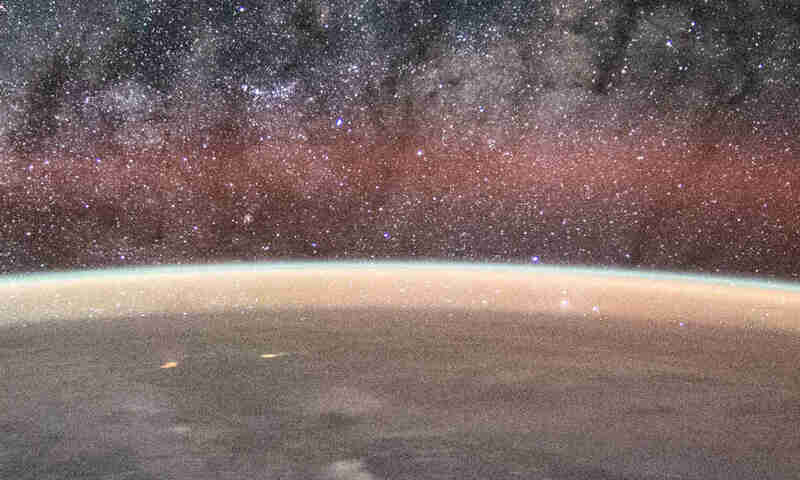 Some flat-Earthers use the Orion correlation theory to prove that stars never change. They are wrong. The theory already accounted for the shift in the position of the stars due to Earth’s axial precession. The theory was formulated using the position of Orion’s belt when Egyptians built the pyramids, not the current position of the stars. The Orion correlation theory claims that the south shaft of the Great Pyramid of Giza was designed to point to the culmination point of Orion’s belt for religious purposes. During the time the pyramids were built, Orion’s belt culminates at about 44°30′, and thus, the Egyptians constructed the south shaft to point toward the south, with the angle of 44°30′. On some nights, the light from Orion’s belt will shine through the shaft toward the King’s chamber in the middle of the pyramid. Today, the light from Orion’s belt will never reach the King’s chamber because the position of the stars has shifted. Due to Earth’s axial precession, Orion’s belt no longer culminates at 44°30′, but at about 59°. Flat-Earthers claim that the theory can be created only because the current position of stars is exactly the same as the time the pyramids were built. They are wrong. The author of the theory accounted for the shift in the position of Orion’s belt and used the position of Orion’s belt during the time the pyramids were built, not its current position. Another aspect of the theory is that the Giza pyramid complex is thought to have been designed to match the shape of Orion’s belt. Flat-Earthers often show a picture like below and use it to “prove” the position of stars never changes. However, this picture, at best, is only a misleading illustration. The length of the Orion’s Belt in the sky is about 2°44′ or 2.73° (calculated from the separation between Alnitak & Mintaka). The east-west distance from the Khufu Pyramid to the Menkaure Pyramid is about 560m. If we were to align the Pyramid with the Orion’s Belt, we’ll have to stand at a location where the angular distance between the Khufu Pyramid and Menkaure Pyramid is 2.73°. Or about 11750 m north of the pyramid complex: 560 m / tan (2.73° / 2) / 2 = 11750 m.
But the stars are up above, about 45°. To align them with the pyramid, an observer needs to be well underground. 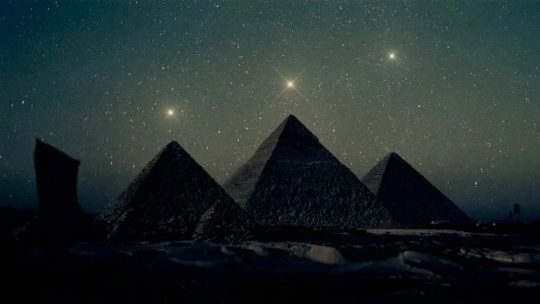 So, it is never possible to align Orion’s Belt with the pyramids in such a way presented in the picture, not now, and not when the Pyramids were built. The picture here is simply a poor illustration of the Giza-Orion correlation theory.